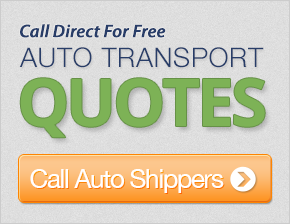 Get up to 7 free auto shipping quotes from the largest, most trusted Utah auto transport companies and save up to 50% on your car shipping rates at CarMoves.com. Car shipping companies in Utah compete for your business, which is how you can save hundreds, if not thousands of dollars on car transport services by shopping with us. Whether you're shipping a car to Utah, across the country, or even overseas, we can help you get the best price on your shipment - guaranteed! Read more about the following auto transport companies in Utah before getting a quote. Click on the name of the company to read a full review. Get a free auto transport quote today to find out how much it costs to ship a car to or from Utah! Utah is a lightly populated Western state in a cold, mountainous region of the US. In fact, much of the state is dominated by uninhabitable regions, namely the Wasatch Range of the Rocky Mountains and the Canyonlands National Park. These large, picturesque areas offer many scenic vistas that have inspired artists for centuries. The Arches National Park, in particular, offers some spectacular views of the eroded rock arches, petrified sand dunes, and numerous wild animals. Of course, the other main geographical identifier of the state is the Great Salt Lake, the largest salt water lake in the hemisphere. This huge but shallow lake resides in the northwestern portion of the state, and is bordered on the east by a great majority of the state's major metropolitan areas, including its capital, Salt Lake City. Culturally, Utah is one of the most unique states in the entire country. Utah, then a part of Mexico, remained mostly uninhabited into the middle of the 19th century, when Brigham Young and numerous Mormons established a historic settlement in Salt Lake Valley. Early attempts by Utah to gain statehood were rejected due to the church's acceptance of polygamy, an issue that was finally resolved in 1890, when the church banned polygamy. 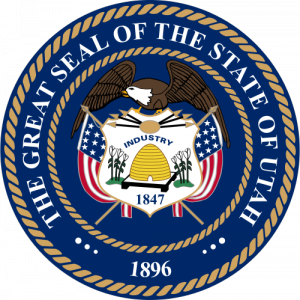 Utah, subsequently, became a state in 1896. To this day, nearly two-thirds of the state's population identifies as being a member of the Church of Jesus Christ of Latter-day Saints, and it houses the religion's headquarters in Salt Lake City. Somewhat ironically, Salt Lake City contrasts with many other urban areas in Utah. Salt Lake City is less conservative and much more liberal, and less than half of residents are members of the Mormon faith. Instead, the city posits itself as a head of industrial banking, a transportation hub, a convention and tourism hub, and an upcoming business center. It also has one of the state's largest universities, the University of Utah, which recently entered into the PAC-12 for its sports programs. Finally, the city does retain a strong bond with its Mormon history thanks to numerous museums located there, including Church History Museum. CarMoves.com works with car shipping companies throughout the state of Utah. We can help you get the best prices on car transport services to the following cities in Utah: Salt Lake City, West Valley City, Provo, West Jordan, Orem, Sandy, Ogden, St. George, Layton and many more. If you don't see your city listed, don't worry - we can get your vehicle shipped anywhere in Utah. Scroll to the quote section on this page to compare free auto shipping quotes from up to 7 Utah auto transport companies and save up to 50% on your move! View the Utah Department of Transportation website for more information.